My journey with Yoga began in 1996. It involved my living room and a videotape recommended by Self Magazine. It was love at first play. After a few years of developing a home practice, a friend connected me with a Yoga teacher in the LA area named Wendy. Wendy was like an angel, coach, and therapist rolled into one. Each class was like a mini-vacation. I wanted to share this wonderful and healing practice with other people. 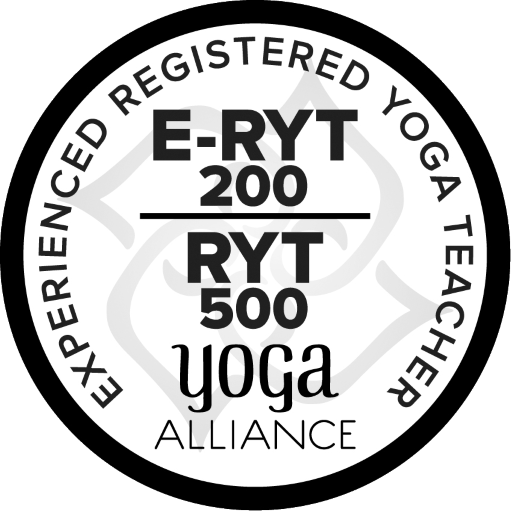 I spent a few years researching Yoga Teacher programs. A friend suggested I look into the Yoga Teacher certification program at the Mount Madonna Institute, founded by Baba Hari Dass and located in the foothills near Santa Cruz. There, under Babaji’s supervision, I received training in Classical Yoga, Hatha Yoga Asana, Meditation, Pranayama, Yoga for Children, Yoga Philosophy, Subtle Body, Sanskrit, and Anatomy. Thanks to the amazing, and patient senior teaching staff, my practice softened, evolved, and deepened. I completed my 200-hour certification in 2009 and my 300-hour certification in 2014. 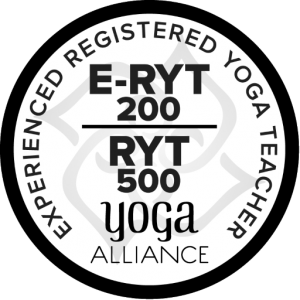 I am currently working on both my C-IAYT Yoga Therapy certification and NAMA Ayurvedic Health Counselor certification. My teaching style focuses on meeting people where they are and empowering my students with individualized techniques to help create a balanced, lifelong practice. If you have any suggestions, comments or questions, I’d love to hear from you. 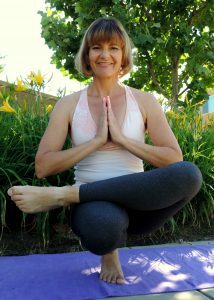 Please click on my Connect page or visit me on Facebook at: Yoga With Linda Marie Hope to see you on the mat, soon!